The new Instagram algorithm favors posts with high engagement, so when a post receives a ton of likes and comments, this signals to the algorithm that it’s high-quality content that other users might want to see. Utilizing effective call-to-actions (CTAs) is one of the best ways to inspire your followers to comment on your posts, which will help drive even more engagement on your Instagram account. According to Wikipedia, a CTA “is a marketing term used extensively in advertising and selling. It refers to any device designed to prompt an immediate response or encourage an immediate sale.“. Iconosquare is an app that can tell you exactly what time you should post to receive the most interactions. This is definitely something we recommend for boosting your Instagram engagement, since pinpointing the best time to post isn’t always as obvious as it may seem. Once you get interactions on your Instagram account, make sure you’re following up on them. If someone comments on your post, be sure to comment back. 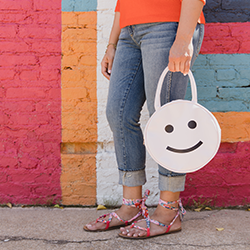 Be fun, easygoing, and likable. Remember, this is a social media app, not a stale networking event. Follow other people in the industry and be sure to engage with them, too. For example, you might want to follow your favorite health food store or gym and watch for conversations that happen on their page that you might want to jump in on. Someone might “heart” your comment about the new juice blend being offered and hop on over to your page to see what you’re all about. That’s an easy way to gain a new follower you wouldn’t have normally had the chance to get in front of. Remember, social media is one long, ongoing conversation. Make sure you’re getting out there and talking to people! As a dentist, interacting with your followers on Instagram is important. We don’t normally get a chance to communicate with patients unless they’re sitting in our chair. By creating a positive relationship with patients online, they’ll form a sense of loyalty to your practice. The more positive the interaction, the more likely they’ll be to continue visiting your practice, and tell others about their experiences with you and your team. 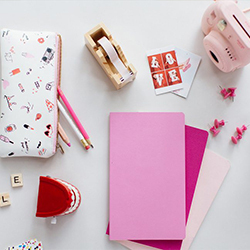 Have more questions about Instagram or how to engage with you followers? Please ask us! The dental soiree team is back in the city from an amazing trip this past weekend in Los Angeles! 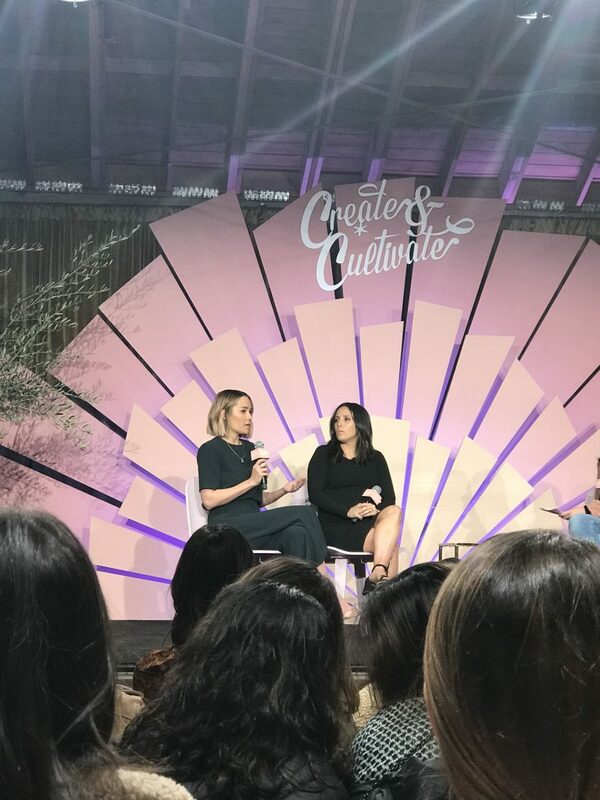 They attended Create & Cultivate a creative conference. 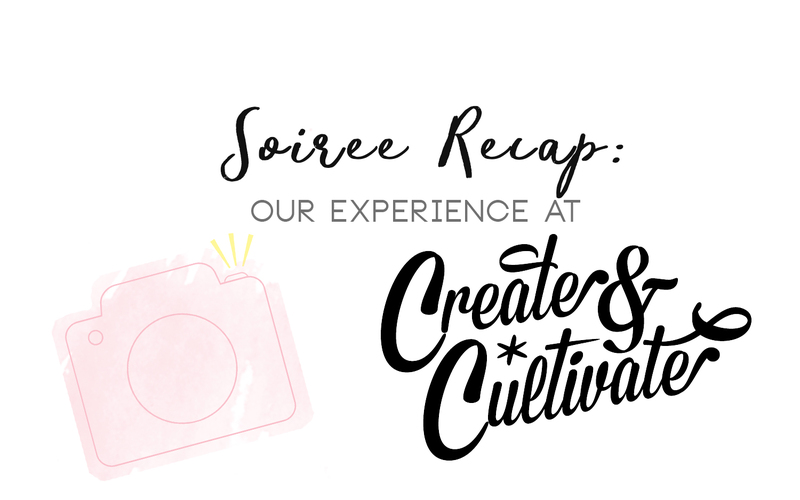 It was filled with amazing female speakers (take a look below) that gave us eye-opening mentor sessions and met so many incredible attendees that were full of empowerment, hustle, talent, and FUN! We had a full day crash course basically on how to be the best we can be, and start that blog we always wanted. Or maybe it was that podcast you’ve been dying to release but have been too scared? Among the different panels were women from all different businesses who pretty much told us one thing: be authentic. 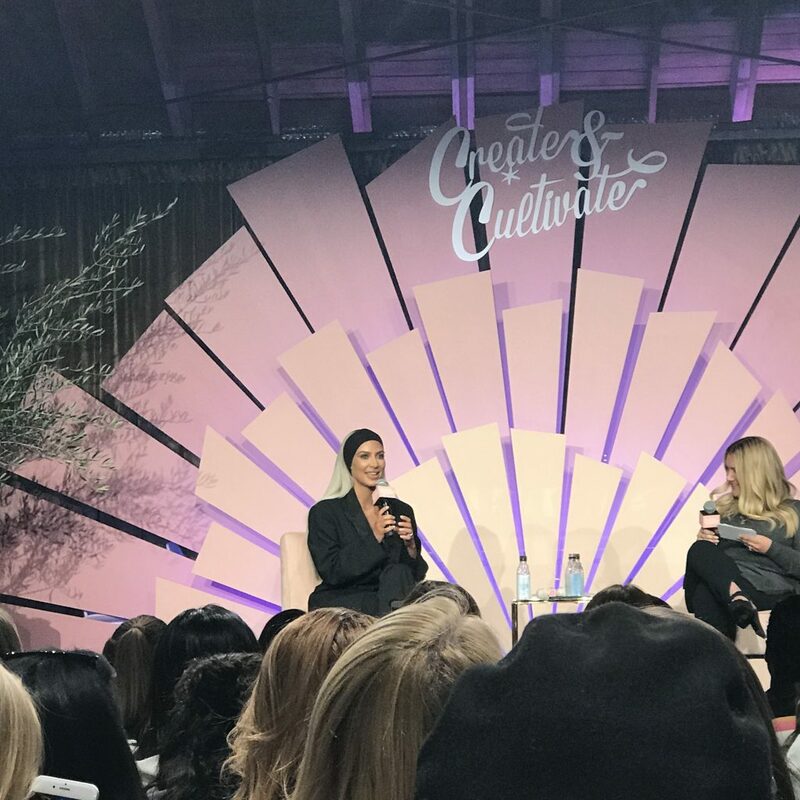 At Create & Cultivate we met so many other talented women, all while learning tips and tricks from some of the best in the business. 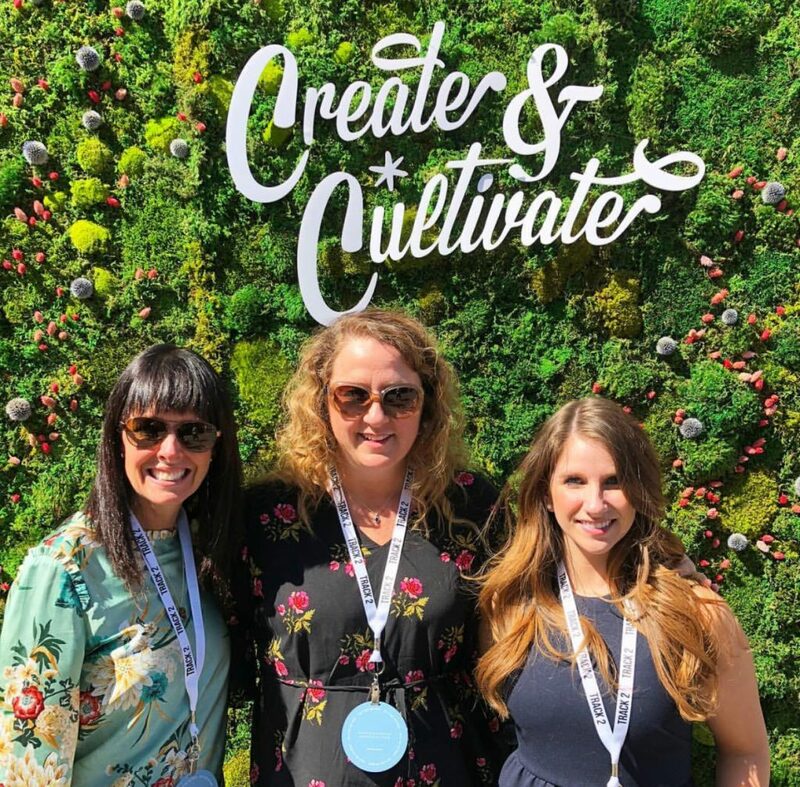 While attending, we were exposed to an impactful one-day program full of some of the best workshops, eye-opening mentor sessions, as well as some of the yummiest cocktails, to die for pop-up shops, endless gift bags, and so much more. We were then introduced to WorkParty. A motion that empowers women that are pushing for a new meaning to their work, on their own terms. Here at dental soiree, we absolutely fell in love at first sight with this motto. 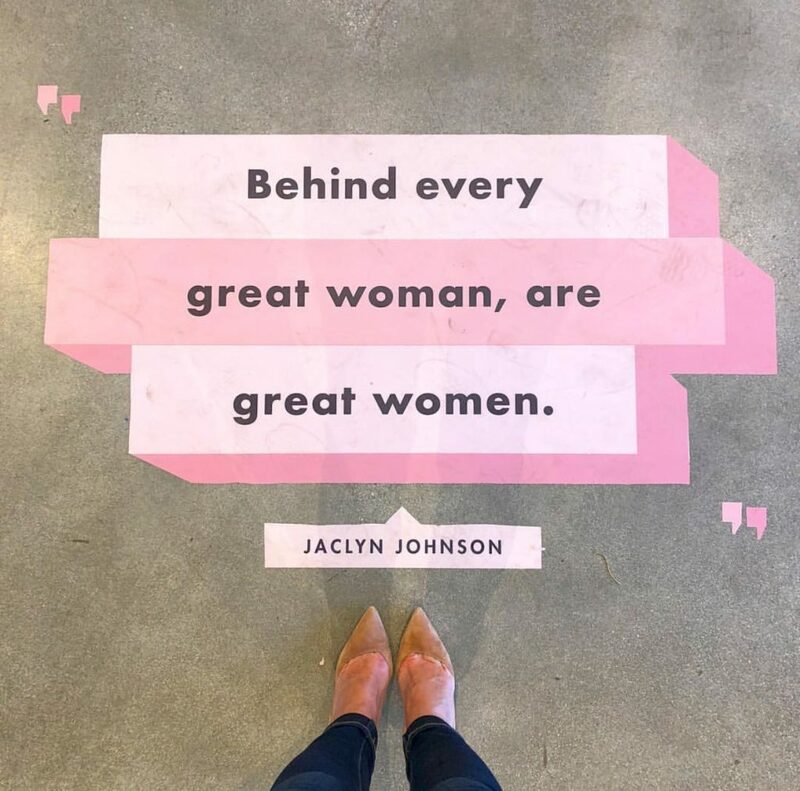 CEO Jaclyn Johnson is releasing her WorkParty book soon and we cannot wait to get our hands on it!! You should probably go pre-order as well here. 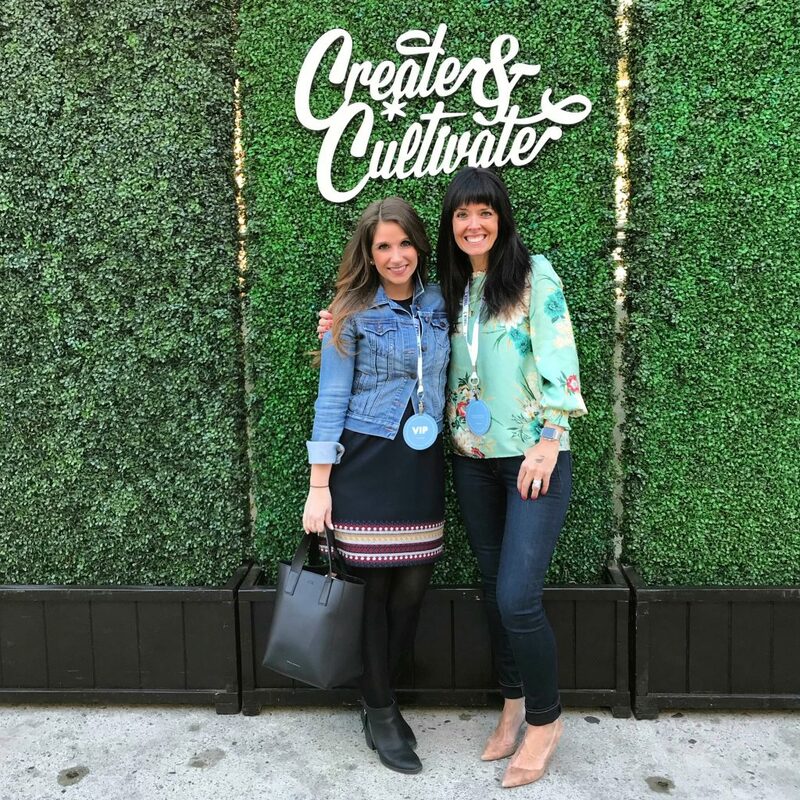 We are still in awe of some of the Keynote Speakers we got to see this weekend. 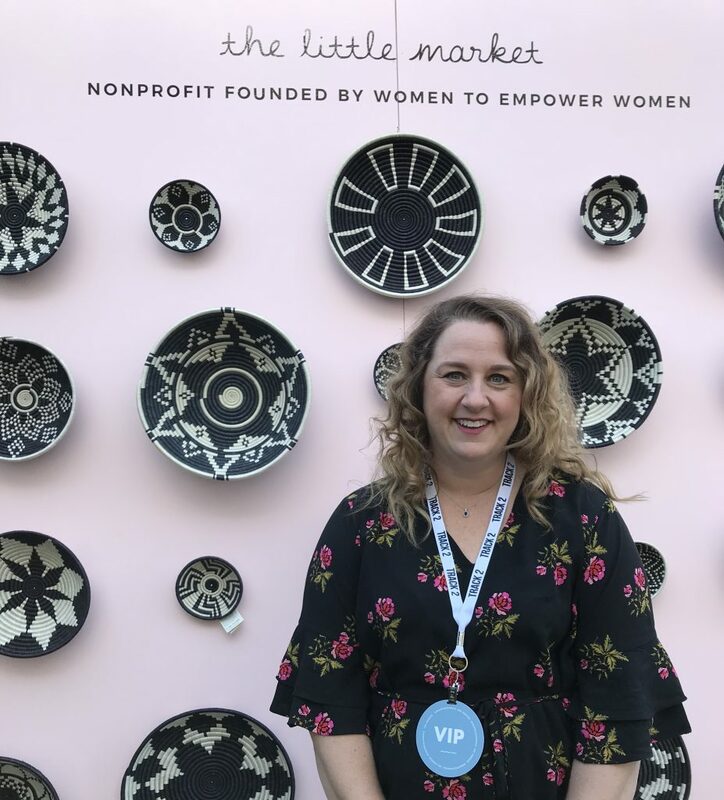 We heard from Lauren Conrad and Hannah Skvarla from The Little Market, an online fair trade shop that has some of the most beautiful handmade goods made by artisans around the world. 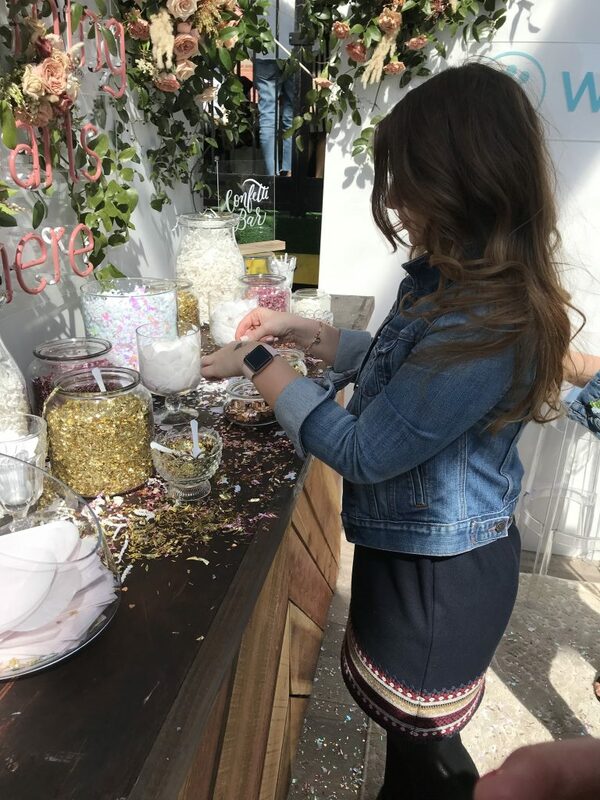 Lauri in front of The Little Market Pop Up Shop! 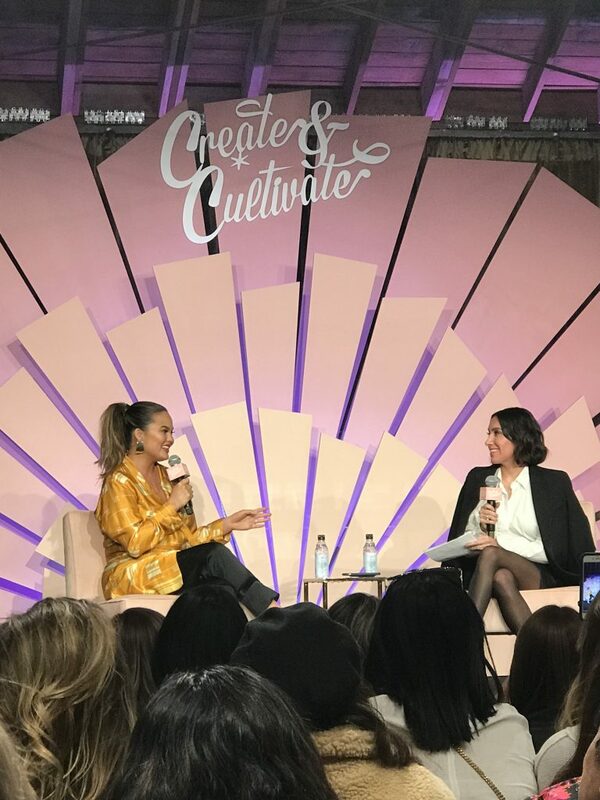 Chrissy Teigen was also there to really emphasis on why it’s so important to be authentic with your brand! She also let us in on a little secret that she’ll be releasing a new line with Target soon. And last but of course, one of the biggest female social media icons ever, Kim Kardashian. She spoke about how she balances family with work, and how she has always had a passion for business. She went into detail about how small her team is due to how hard it is to find the right people that will get it done. We will absolutely be back next year, and we encourage you all to as well! It is an experience that you will always have with you because it doesn’t matter what line of business you are in, there is something there for everyone! 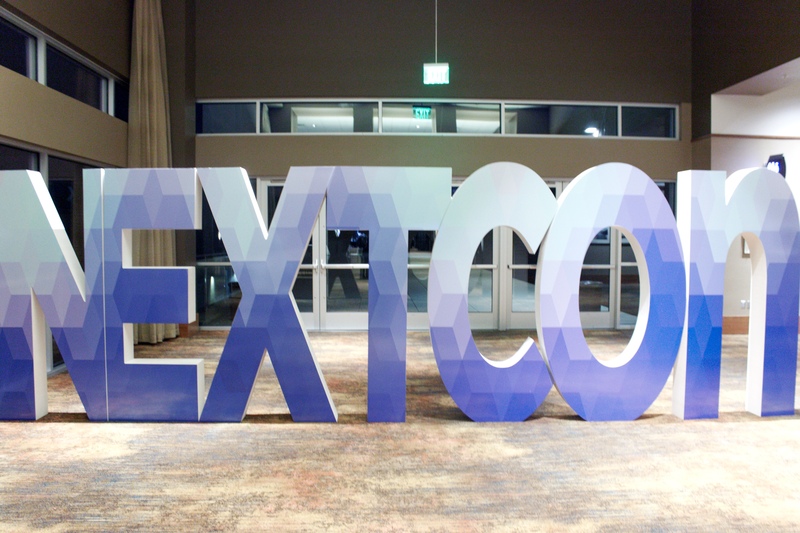 Over the last few days, team Soiree has been in Scottsdale, Arizona to attend a customer service, business, and tech conference called NextCon. A few of our team members attended the event last year. You can read about their experience here. 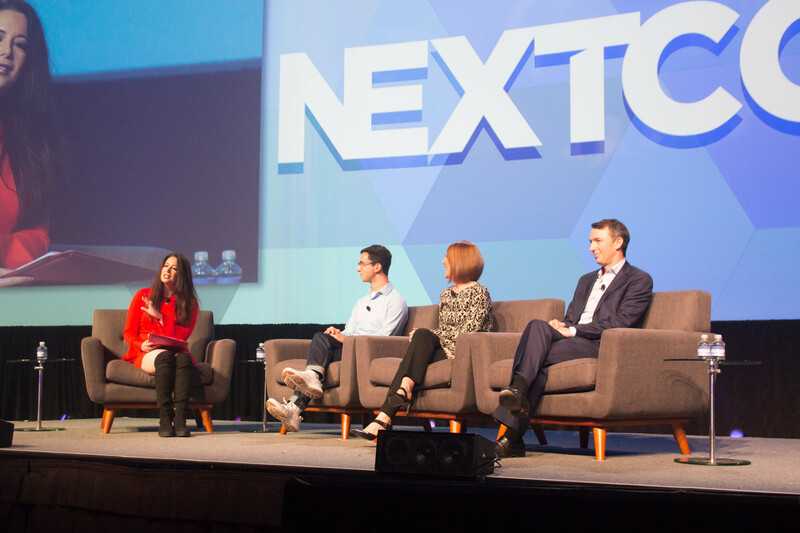 NextCon is a three-day conference organized by Nextiva, a company that excels in creating communication devices and software for businesses. This conference gives entrepreneurs and business professionals the opportunity to hear from leaders in various industries. The speakers talked about business strategies, advancements in technology, leadership tactics, and improving customer relationships. NextCon is a non-profit conference. Proceeds from the event are donated directly to the Bret Michaels Life Rocks Foundation. For every post shared on social media using #nextcon17, Nextiva donated $10 to Life Rocks. All the earnings from NextCon merchandise was also donated to the foundation. 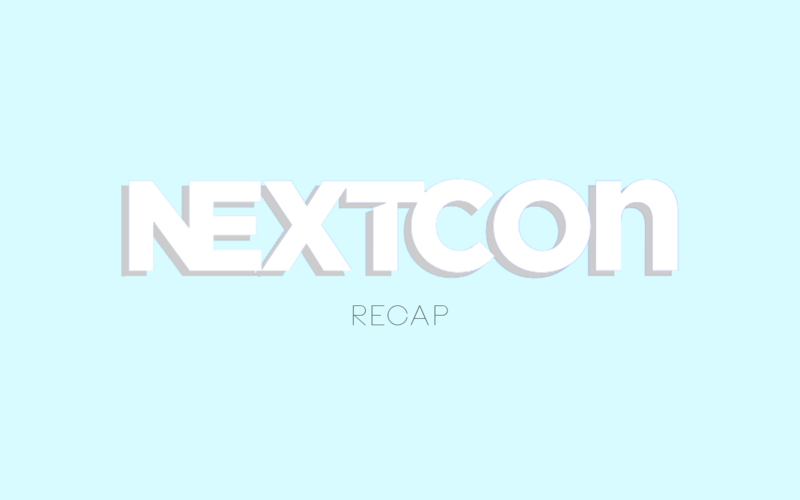 Over the course of the three days, NextCon raised over $22,000. 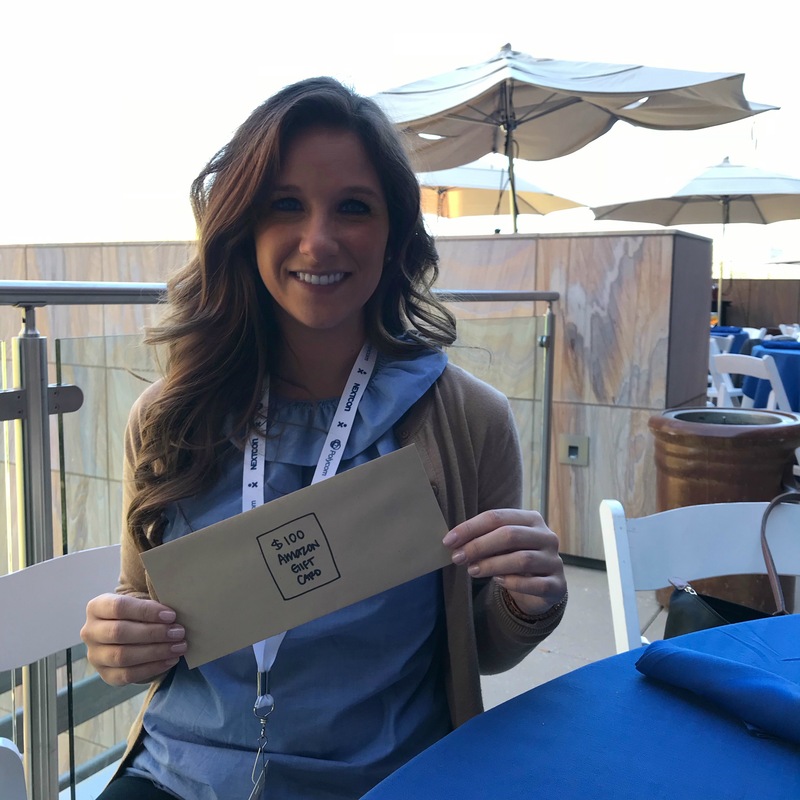 Paxton won a $100 gift card for her engagement on the NextCon app! The conference was jam packed with information from hand selected speakers that are experts in their industries. Leaders from corporations like Google, Nordstrom, and The Ritz-Carlton were among the bunch. Here were a few of our favorites from the week! Carol is a “recovering” investment banker turned entrepreneur, author, and speaker. During her presentation, she spoke about how to improve the customer experience. She recognized that keeping customers happy sounds easy, but it doesn’t always go according to plan. It’s important to make your current customers happy, and to consider their interests when making decisions. We had the opportunity to listen to Les speak on two different occasions. His first talk focused on the lifecycle of organizations. He walked through the different stages of a business’ life: the early struggle, fun, white water, predictable success, treadmill, the big rut, and death valley. During his second presentation, Les talked about the essential internal components of a business that will lead them down a path of success. He spoke about empowerment, ownership, self-accountability, lateral management, and, most importantly, a definitive org chart. Brian’s presentations focused on the benefits of using social media to market businesses. Simply sharing content online and engaging with both current and prospective customers can spread the word about your brand. He also talked about the importance of quality and consistency. If your brand does not share content online consistently, it will not add any sort of benefit to your business. One of our favorite tips shared from the presentation was the 2/3 vs. 1/3 rule. 2/3 of your content should be directed towards your audience. It should consist of information that is relevant to them. 1/3 of your content should be curated. This could include shared content from external sources (with the proper credit given, of course). Fun blurbs and articles can keep things a little more lighthearted. Brian’s talk was a great overview of the ‘why’ surrounding social media. Joey was the last speaker of the conference. His talk was primarily focused on how to interact with clients during the first 100 days of working together. Joey shared some helpful steps to take to make clients feel excited and engaged during the process. His presentation emphasized the importance of showing vs. telling. To make an impact on for your client, it’s crucial for business owners and employees to prove their expertise and knowledge through action instead of just telling your client what you can do. Our NextCon experience was full of priceless information! Through each of the presentations, we were able to take away important information. All in all, this week has been truly inspiring. We had the opportunity to learn about so many different facets of the business world. 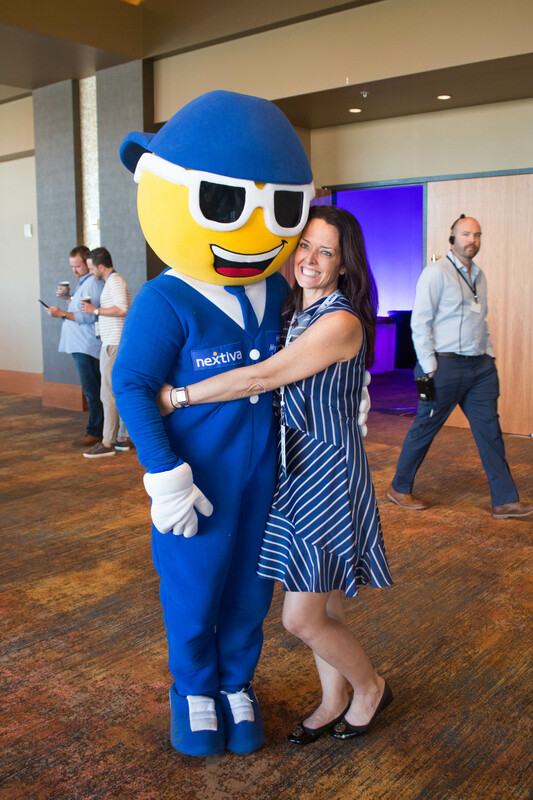 Thanks for such an amazing conference, NextCon! Welcome to New York, Dental Soiree! Brooklyn, New York. What a GORGEOUS borough of New York City. Once the plane landed, team Dental Soiree hit the ground running! 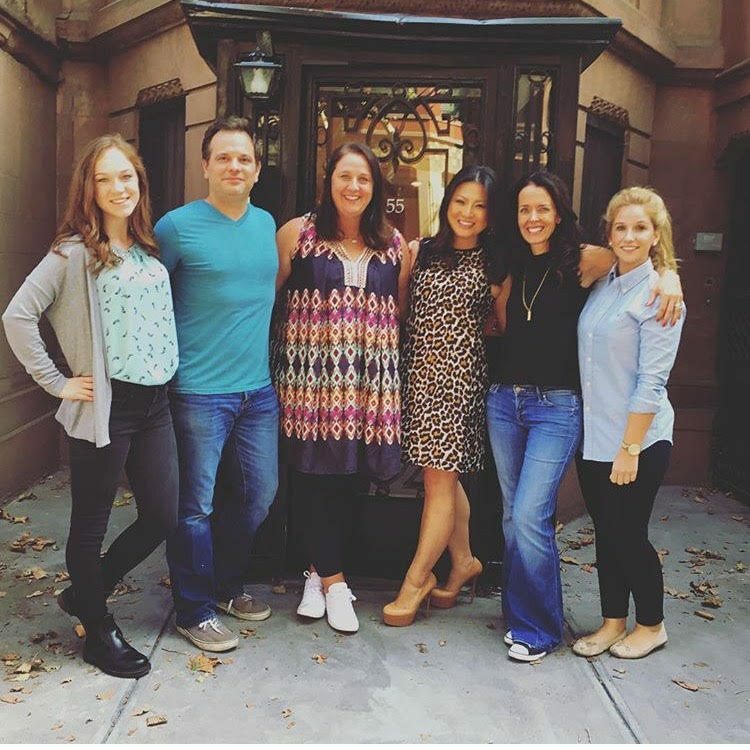 Our first order of business was to get to Dr. Sophia Milito’s practice in Park Slope. Tree-lined streets embraced us as we made our way to the historic brownstone that houses Park Dentistry. We had never seen her office or the surrounding streets and parks nearby, so it was important to meet her first, and then get busy scouting the locations! We couldn’t have asked for better weather! It was perfect, actually. Warm and sunny made for perfect pictures and video. Dr. Milito’s practice is located on such a gorgeous, bustling street. Brownstones from one end to the other- and those stoops, have you ever seen them? Stoops on every brownstone rolled out from each front door as a silent greeting to all who pass by. 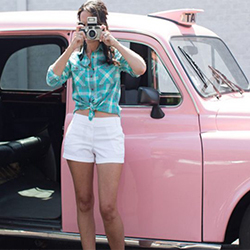 This neighborhood was the PERFECT backdrop for our photographer and cinematographer. Saturday began with a 6am start-time. We started shooting looks around 8am and continued on for the next 9 hours! It was a long day, but we nailed it! 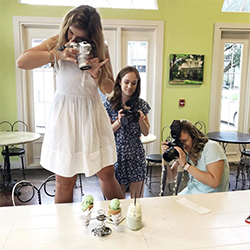 Our photographer was on-point all day, ensuring each look had proper lighting with an artistic edge. We hired a hair and make-up artist and a celebrity stylist to make sure that the already beautiful Dr. Milito looked truly exceptional! Sunday began just as early, but this day was solely for video. Through some storyboarding, we created topics of videos that conveyed Dr. Milito’s story and her passion; all in the heart of this beautiful borough. All the while, our amazing DePaul Intern, Larissa, was at our side filming b-roll both days! We can’t wait to see what she comes up with! The weekend went off without a hitch. We had hours of preparation and planning that went into this incredible 2-day shoot. It was an exciting and creative weekend filled with professionals in many different areas all coming together. It was phenomenal! There is still more work to do for team Dental Soiree. We are in the process of creatively organizing her new website, hoping to launch it within the next 6 weeks to include a complete re-brand as well! Additionally, we’ve created social media accounts where Dr. Milito and her team can show patients and fans the inner workings of Park Dentistry. Be sure to keep your eyes peeled for all of these unveilings!! We had the opportunity to spend one of our weekends working with Dr. DeGroot, Dr. Mandelaris, and Dr. Shah of Perio Medical. We started off our Saturday bright and early at 6:30, but couldn’t have been more excited. The Dental Soiree team had coffee in hand, and ready to roll! Their office is an exquisite eye piece to look at when walking in. Upon entry, you will be amazed that you are even in a medical office. The intricate detail varies from the dark blue walls, up to the beautiful light fixtures, down to every perfectly placed coffee table book. You could over hear some people say that they felt like they were walking into a Ralph Lauren catalog. We captured exterior shots of their practice, as well as amazing interior. Everything from their sunshine lit waiting room, black and ivory striped bathroom, the Dr.’s personal offices, and down the hallway to their operatories. Not only are the doctors and staff here so warm and welcoming, but the ambiance of their practice will make you feel like you’re walking into their chic, New York apartment. 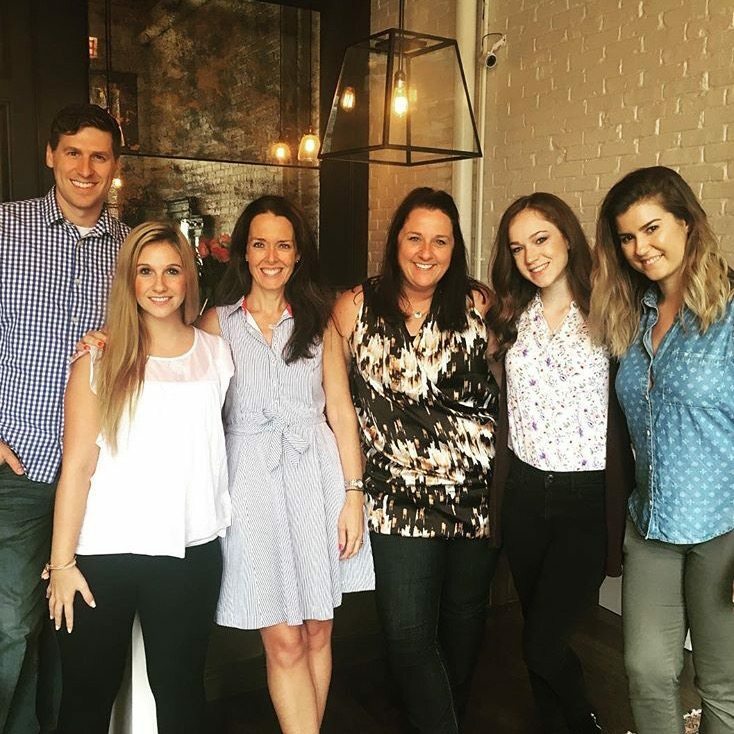 Make sure to keep up to date on what the Dental Soiree team is up to next on our social media. We have a busy month ahead, so stay tuned!